A terrified woman was threatened by a knifeman who demanded her belongings during an attempted robbery in the town centre. Police said the woman was walking along North Parade, in Horsham, on Wednesday evening (April 25) when she was approached by man holding a knife close to the junction of Rushams Road. He demanded the 33-year-old’s belongings and she screamed and ran away. Police said the suspect was described as tanned, of stocky build, with short dark hair and unshaven, wearing a grey hooded top, dark grey tracksuit bottoms and dark shoes. The incident took place at 10.30pm. 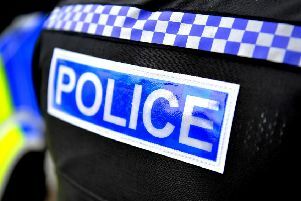 A 32-year-old man, from Horsham, has been arrested on suspicion of attempted robbery and released under investigation. Anyone with any information is asked to report it online or call 101 quoting serial 1369 of 25/04.